At the moment, no other European city attracts so much fascination as the city of Berlin. An unrivalled symbol of modern urban life, Berlin is a dynamic city whose inhabitants, in the course of the past two centuries, have lived through both the rapid growth and the violent destruction of the institutions of civil society, several times over. 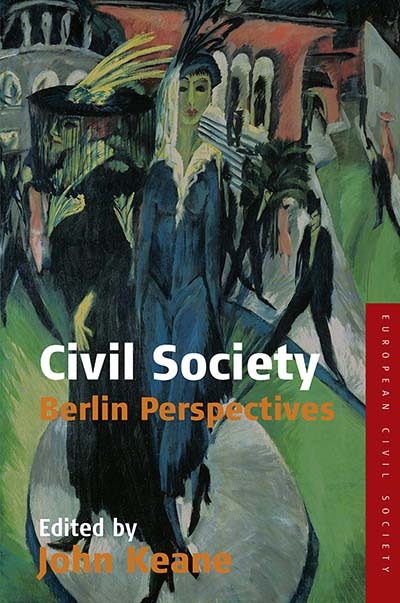 This volume situates itself within these developments by presenting, for the first time in English, a sample of the best, recently written essays on contemporary civil societies, their structural problems, and their uncertain future, written by scholars with a close, long-standing relationship with the city. They are pre-occupied with a broad sweep of substantive themes, but in each case they focus upon one or other of the key trends that are shaping actually existing civil societies. John Keane is founder of the Centre for the Study of Democracy, Professor of Politics at the University of Westminster and Research Professor at the Wissenschaftszentrum Berlin (WZB). Born in Australia and educated at the universities of Adelaide, Toronto and Cambridge, he is a frequent contributor to media around the world. He is the author of Global Civil Society? (2003) and Violence and Democracy (2004) and is currently preparing a full-scale history of democracy - the first for over a century. Chapter 4. Civil Society: Desperate Wishful Thinking? Chapter 7. Is There, or Can There Be, a ‘European Society’?